I posted Tuesday on the legal implications of the League of Nations’ recognition of Palestine as a “Class A” Mandate, i.e. a former Ottoman territory nearly ready for national independence, to which the mandatory authority (i.e. Britain) was to lend ‘administrative assistance’ in its attainment of independence. I received some strange mail from fanatics afterward, insisting that the British Mandate of Palestine was not recognized as a Class A Mandate. A scholar also wrote me to point out that unlike the case with Iraq and Syria, the British brought the Balfour Declaration into the Mandate document. The latter is true, but not relevant to my point, since the League of Nations interpreted the language of the declaration differently than did the Zionists. Others complained that the map starts in the mid-1920s after the British had already hived off Transjordan. But so what? If Class A Mandates were almost ready for independence, why couldn’t some portion of them be granted independence first? The French also split the Mandate of Syria into two parts, Syria and Lebanon. What has that got to do with anything? The legal history does not bear out any of these objections to my argument. The following British archival document makes it very clear that the British were forced by France and Italy not to disregard the interests of the over 90% of their mandate that was Palestinian, and that London revised its Mandate document under pressure as a result. The League of Nations created and granted the Mandate, contrary to what Balfour kept sputtering (he was not even in office 1922-1924). What the victorious Powers and the League of Nations wanted has to be part of the interpretation of the Mandate’s charge. The League of Nations wanted the British Mandate of Palestine to serve the Palestinians in accordance with their status as “Class A.” It envisaged a Palestinian state. Indeed, Sir Herbert Samuel, the first governor of the British Mandate of Palestine, urged that the “future government of Palestine” be required to repay any loans raised during the Mandate for its development. So they envisaged a future government of Palestine, which they assumed would be overwhelmingly Palestinian. MEMORANDUM BY THE SECRETARY OF STATE FOR FOREIGN AFFAIRS. [Lord Curzon]. A FINAL decision about Mandates A is required. The Assembly of the League of Nations is concerned about their submission to the Council, and will probably not allow the gathering at Geneva to come to an end without a decision being taken on the point. It is understood that the Council of the League is likely to hold a meeting while at Geneva to consider these Mandates, and it has been informed that they will be submitted without further delay. The Mandates concerned are those for Syria, Mesopotamia and Palestine. The French Mandate for Syria is drawn on the same lines as ours for Mesopotamia, though not actually identical with it. There is nothing in it to which we desire to object. The Mandate for Mesopotamia has passed through several stages, tending in each case to further simplification. It has been shown to, and approved by, the French and Italian Governments, to whom we were under a pledge at San Remo to submit it In its last printed form this Mandate was approved by the Cabinet a few weeks ago . 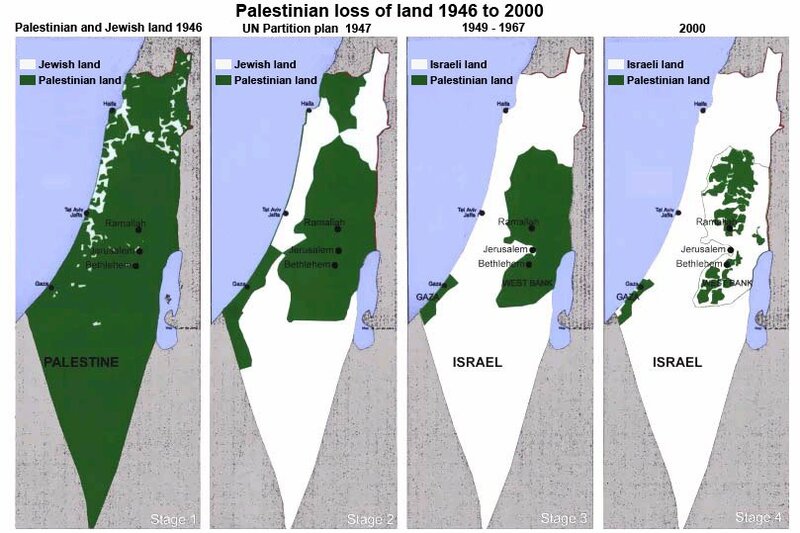 . .
As regards the Palestine Mandate, this Mandate also has passed through several revises. When it was first shown to the French Government it at once excited their vehement criticisms on the ground of its almost exclusively Zionist complexion and of the manner in which the interests and rights of the Arab majority (amounting to about nine-tenths of the population) were ignored. The Italian Government expressed similar apprehensions. It was felt that this would constitute a very serious, and possibly a fatal, objection when the Mandate came ultimately before the Council of the League. The Mandate, therefore, was largely rewritten, and finally received their assent. It was also considered by an Inter-Departmental Conference here, in which the Foreign Office, Board of Trade, War Office and India Office were represented, and which passed the final draft. It was pointed out (1) that, while the Powers had unquestionably recognised the historical connection of the Jews with Palestine by their formal acceptance of the Balfour Declaration and their textual incorporation of it in the Turkish Peace Treaty drafted at San Remo, this was far from constituting anything in the nature of a legal claim, and that the use of such words might be, and was, indeed, certain to be, used as the basis of all sorts of political claims by the Zionists for the control of Palestinian administration in the future, and ;2) that, while Mr. Balfour’s Declaration had provided for the establishment of a Jewish National Home in Palestine, this was not the same thing as the reconstitution of Palestine as a Jewish National Home–an extension of the phrase for which there was no justification, and which was certain to be employed in the future as the basis for claims of the character to which I have referred. On the other hand, the Zionists pleaded for the insertion of some such phrase in the preamble, on the ground that it would make all the difference to the money that they aspired to raise in foreign, countries for the development of Palestine. Mr. Balfour, who interested himself keenly in their case, admitted, however, the force of the above contentions, and, on the eve of leaving for Geneva, suggested an alternative form of words which I am prepared to recommend. Simultaneously the Zionists pressed for the concession of preferential rights for themselves in respect of public works, &c, in Article 11. It was felt unanimously, and was agreed by Mr. Balfour, that there was no ground for making this concession, which ought to be refused. . .
During the last few hours a telegram has been received from Sir H. Samuel, urging that, in order to facilitate the raising of loans by the Palestine Administration, which will otherwise be impossible, words should be added to Article 27, providing that on the termination of the Mandate, the future Government of Palestine shall fully honour the financial obligations incurred by the Palestinian Administration during the period of the Mandate. This appears to be a quite reasonable demand, and I have accordingly added words (italicised at the end of Article 27) in order to meet it. With this explanation, therefore, I hope that the Mandates in the form now submitted may be formally passed and forwarded to the Council of the League. C. OF K. November 30, 1920.